At our AGM on 21 March 2018, we elected a new President – John McKoy, and a new Executive member – Richard Grasse. Here are some details about them and a photo of John McKoy. 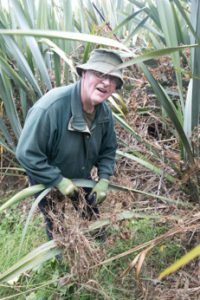 John McKoy has been a Porirua resident for more than 45 years and an active participant in local conservation activities and environmental advocacy for most of that time. This includes roles in the Pauatahanui Inlet Community Trust, Guardians of Pauatahanui Inlet, Friends of Mana Island and, for the last three years, as a community member of the GWRC Te Awarua o Porirua Whaitua Committee. Professionally John is a marine biologist and research director with a particular interest in fisheries ecology. 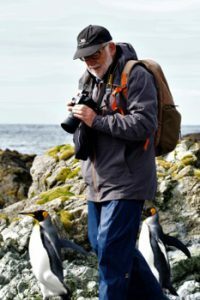 He is keen to apply the skills he has developed in this area to developing a citizen science based approach to monitoring and enhancing the restoration of Mana Island. Richard Grasse has been going out to Mana regularly for about three years, both on work party weekends and also several week-long stays. His focus has been on plants and he has been involved with tree-releasing and removal of karaka. This year he has also started helping with the guiding programme.